Nineteen-year old Leba Namovi anticipates to start her own baking business in the fu­ture. She graduated with a Certificate in Cookery from the Technical College of Fiji, Nabua campus on Monday. Ms Namovi said she had completed her pro­gramme at the Anjuman Hidayata ul Islam campus in Nausori. “I took up this course so that I could start my own business, but after today my next step is to start my own baking business,” she said. “I will sell cakes in order to help my family who have been very supportive of me. The Navitilevu, Ra native credited her success to her family. 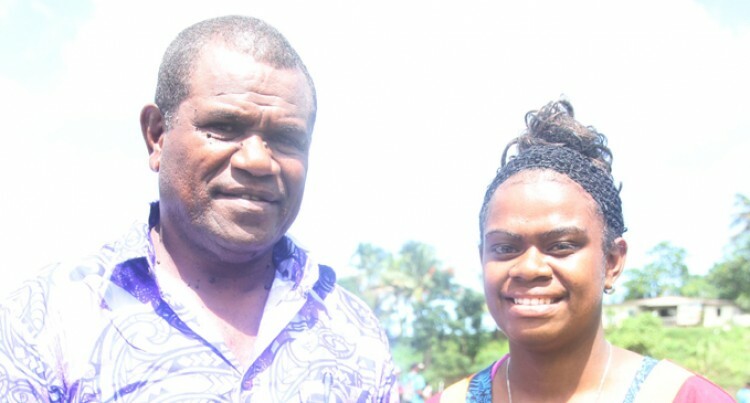 Meanwhile proud father, Pacolomiu Rabukawaqa, 50 said he was proud that his youngest daughter had completed her programme. “After she had left school I asked her what course she wanted to take and she chose this field, but since times are hard and everyone worries about their families I thought it would be better that we stay together in Nakasi while she did her pro­gramme,” he said. Mr Rabukawaqa said there were already employ­ment prospects lined up for his daughter to take up after her graduation. “I supported her and I have talked to some man­agers at various hotels in the west like Malolo or Mana so that she can gain some more experience. “I strongly advise all parents to let your kids at­tend one of the technical colleges rather than stay home,” he said.